Grow Your YouTube Channel With The Video Suggestion Ladder. Do you have a small YouTube channel? Are you struggling to earn more views from YouTube? Well, I have a helpful idea. I have to admit, it is tough growing a YouTube channel. I’m sure there’s not a YouTuber out there not looking for one more tactic, strategy, or advantage to gain a few more views and grow their channel. Good news, I believe I found a strategy that you might be interested in trying. After a little experimentation, which includes success and failure. I’ve come up with a playlist strategy to help increase suggested views. I call it the Video Suggestion Ladder or VSL. I categorize YouTube viewers into five stages. The first stage is someone who’s watched one of my videos. Stage two is somebody who’s watched two or more videos. Stage three is somebody who subscribes to my channel. Stage four is somebody who has subscribed to the channel and hit the bell icon for notifications. Lastly, stage five is the core fan. The person who shows up to every live stream and shares the word about my channel. The YouTube suggested ladder takes advantage of a tool that YouTube gives us to help you to suggest the next video, A playlist. The VSL does not use playlists the way you think. Yes, playlists are very helpful to organize your videos, however, that’s not what we’re doing here. We are taking advantage of a series of playlists to help increase watch time. The strategy also helps turn more stage one viewers into stage two viewers. One big difference in these playlists is we only have two videos per playlist. This is necessary, especially for small YouTubers because the math doesn’t justify the value of a third video in a playlist. 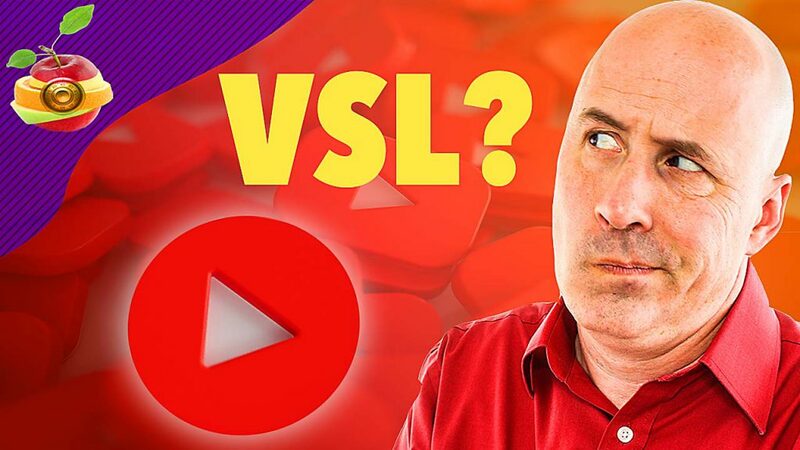 I’m going to share the basics of how to create a VSL, but don’t panic. I have a 3000-word article to support you over at the thetubeblog.com. The first thing to do is identify your top performing videos on your YouTube channel. These are videos that continue to add views every day. If you’re a beginning YouTuber you may not have any growing videos yet. However, I think this process is a good best practice. So as you gain momentum on your channel, you’ll already have this powerful strategy in place. I find the strategy works best with videos that are gaining at least 50 or 100 views per day. This means, even if you’re a small YouTuber, yet have a tutorial video that people find in search, or you have a popular blog post with an embedded video, or possibly you have a viral hit – you have an opportunity to use this strategy. All of these viewer-driven videos can support you in the growth of your channel using the Video Suggestion Ladder. The next thing to do is create a separate playlist for each one of your top performing videos. This can work even if you only have one growing video. However, I would make a maximum of 10 playlists to start. Next, title your playlist however you want, but order them A B C D based on their view velocity. In other words, how many views the video earns each day, week, or month. Considering I’m such a small YouTuber, I base my order off the views per month. So here’s the ladder in our Video Suggestion Ladder. When you publish your next video, place that video in playlist A. Then when you publish your next video, take the video that’s in playlist A and put it in playlist B. Then put your new video in Playlist A. After you publish another video, place your new video in Playlist A. Put the old video in playlist B and the video in playlist B in to playlist C.
The idea behind this is to get as many views as possible to your video so YouTube has the data it needs to suggest your videos properly. An added benefit to you is that you can eventually gain enough data to make better videos in the future. When you publish a new video, and you, unfortunately, don’t get more than 5-10 views, it’s not helpful. Such a small number of views is not helping YouTube or you to learn how to grow your channel. So, what we do is we put two videos and an official playlist. One is what I call pitcher video and the other is a catcher video. The pitcher video has a lot of views that it can toss over to the catcher video. Obviously, the more relevant the two videos are the better the pitcher and catcher relationship will be. So if 100 people have the opportunity to click on another video and 5% of them click on yours. That’s a 5% click-through rate, and five new viewers. Plus, that’s five new people who’ve become a stage two viewer. We want to give a boost to our new videos after we launch them, yet, we don’t want our older videos to die. This is why we have the ladder. We can keep our videos active by placing them in the next playlist. Now some playlists may not be as effective as others. However, if the relationship between the pitcher and catcher video is better in another playlist you may see a little spike in views. There are many ways to approach these playlists. The key to this strategy is to keep the viewer momentum going on your videos. When you continue to drive viewers to a video, it helps you and YouTube understand what works. Based on the results of my initial experiments, I’ve seen my click-through rates double if not triple. I see views to my new videos, double, triple and in some cases quadruple my normal view counts. The number of opportunities YouTube is offering me in the form of impressions has gone from 25% to 50 – 60% of my views coming from suggested videos. If you’re a YouTube trying to grow your channel, your head is probably spinning with new ideas and new possibilities. Let me know if you have tried similar techniques and strategies?